A Nendoroid to celebrate the Nendoroid 10th Anniversary! 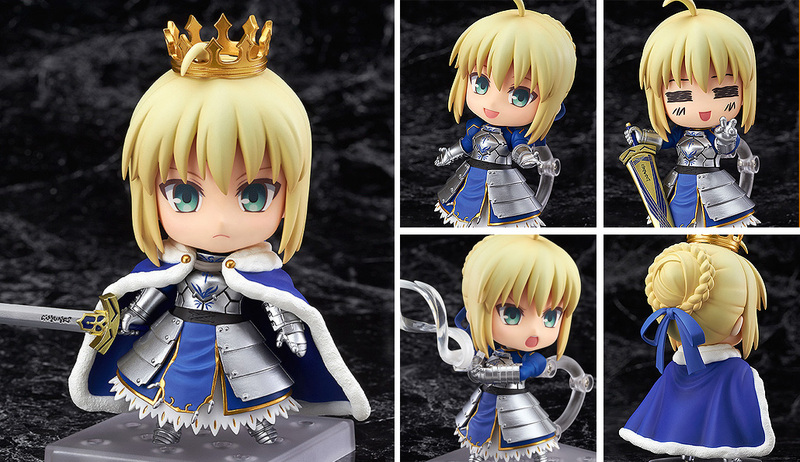 From the popular smartphone game 'Fate/Grand Order' comes a Nendoroid of Saber/Altria Pendragon as a commemoration product to both Good Smile Company's 15th anniversary and the Nendoroid series' 10th anniversary! She comes with four expressions including her gallant standard expression, a shouting expression for combat scenes, a gentle smiling expression as well as a chibi expression reminiscent of the previously released 'Nendoroid Lazy Saber: Limited Ver.'. She also comes with both the cape and crown that she wears after her 'Ascension', which can be attached and removed whenever you wish. Excalibur, Caliburn as well as Invisible Air are also all included as optional parts to recreate various different scenes. Be sure to add the second coming of Saber to your collection!